The New ‘Old’ Sports Hall? This is my first blog of the year (a long time coming, I know! ), as I have been at various conferences (SU2013 and BUCS) and had a crazy amount of training. I am pleased to write that my first blog as Vice-President is a positive one, and hopefully worth the wait! I have two exciting pieces of news, which I hope set the tone for the year to come. Firstly, I can confirm that the ‘Old’ sports hall will be renovated and ready to use in time for the bunfight this year. Sport and Wellbeing have done a great job and I am very happy with the work which will take place. 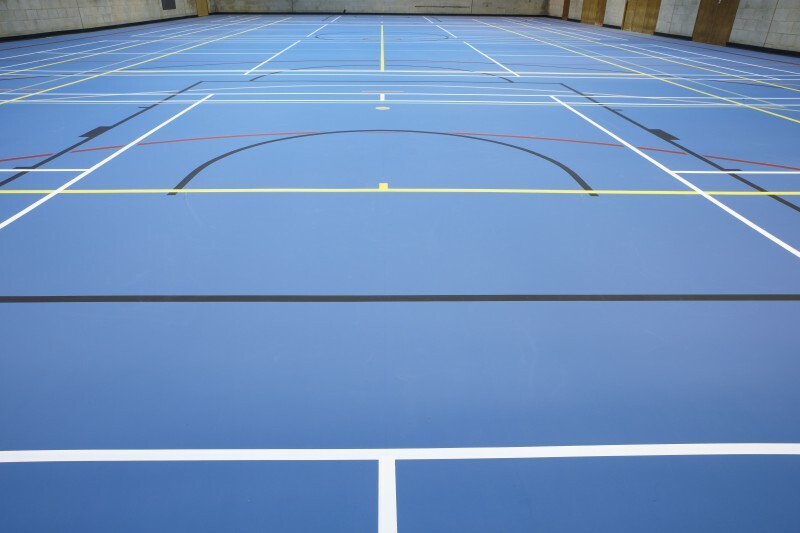 The sports hall will have its floor relaid and undergo a general face-lift before the start of term. The new flooring is of high quality, and will undoubtedly improve the training space our students are able to use. The picture above showcases what the new surface will look like. Which asks the question: Which sports hall is now the ‘old’ one? The new look and improved ‘performance’ of the floor, should make it a more appealing training space and one that student groups grow fond of. The fact we now have another indoor facility, which is of a high standard, means groups will no longer feel that they have been allocated a space which is worse than the other. Secondly, I am immensely proud to inform you that we have representation, from our Volleyball club, at the European Beach Volleyball Championships, in Portugal. I’d like to congratulate the club, in particular Arsene, Antreas and Renato (for competing), and the former club president Nils (for the work he put in to get them there). We wish you the best of luck over the coming week! The last thing I have to say, is that the Sports Zone funding forms will be released today -so don’t forget to fill those in. 3 Comments on "The New ‘Old’ Sports Hall?" Hey, are there going to be new markings? If so would it be possible to request inline goalie creases? Unfortunately, in-line hockey will not be able to play on the new surface. I have emailed the club president about the news and have apologised for the inconvenience. I want to ensure your that your club is not badly affected by this, and will offer support to ensure your club’s training and consequently performance are not affected. If someone can get in contact with me asap, that would be appreciated – so we can make sure you have sufficient funds to use Taunton or another external facility. It looks really positive and a good step into making every area of SUSU top notch and fit for the 21st century! I’ll look forward to seeing it soon!